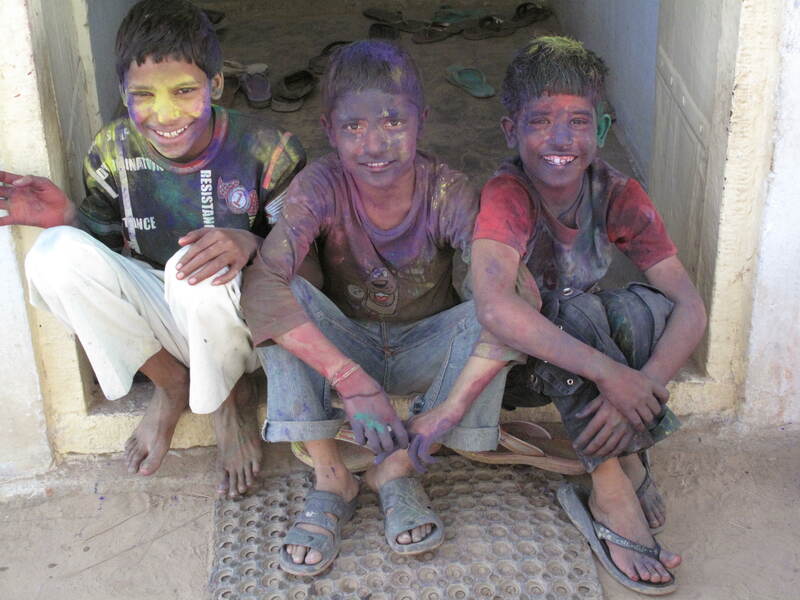 The Holi Festival is also known as the festival of colors and is celebrated on the full moon at the end of February/beginning of March. This moon marks the end of winter and ushers in the beginning of spring. 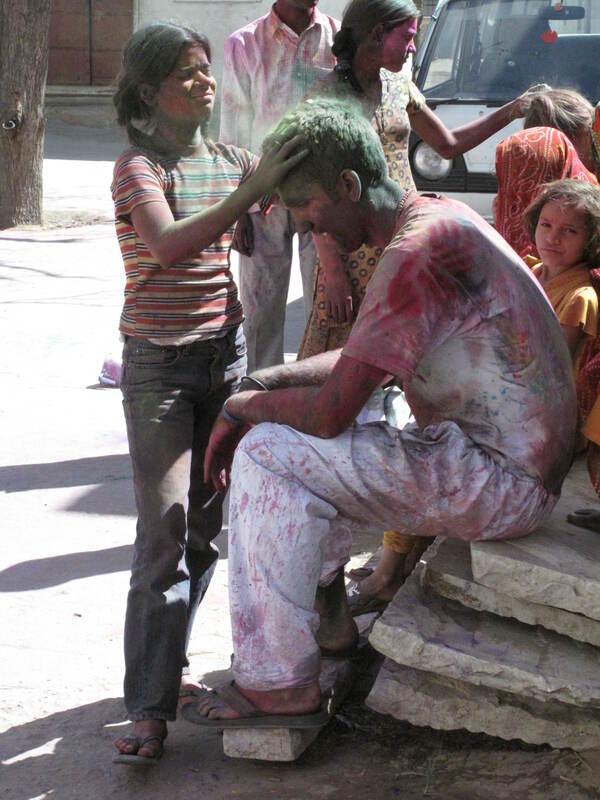 My limited research revealed that there are many stories about the origins of the festival of colors. 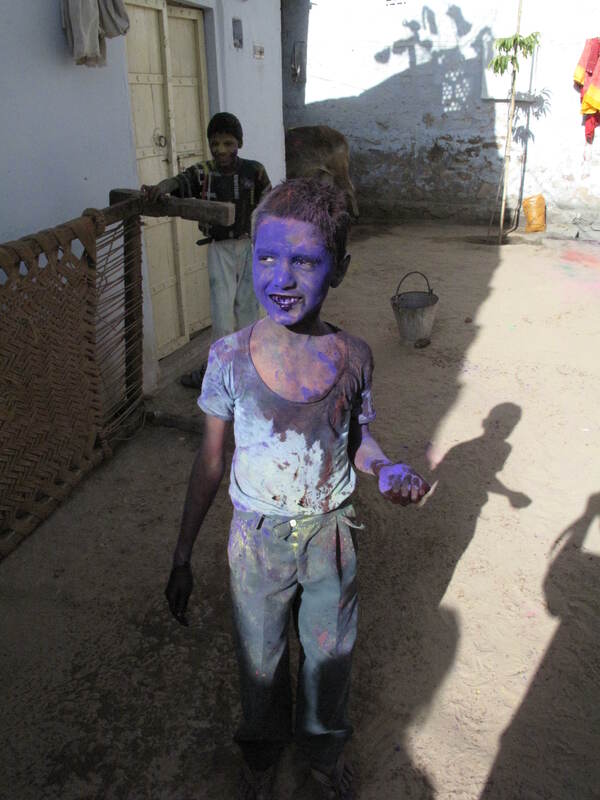 One story speaks of Lord Krishna (the cow herder God), who had very dark, and complained to his mother that his wife had too light a complexion. 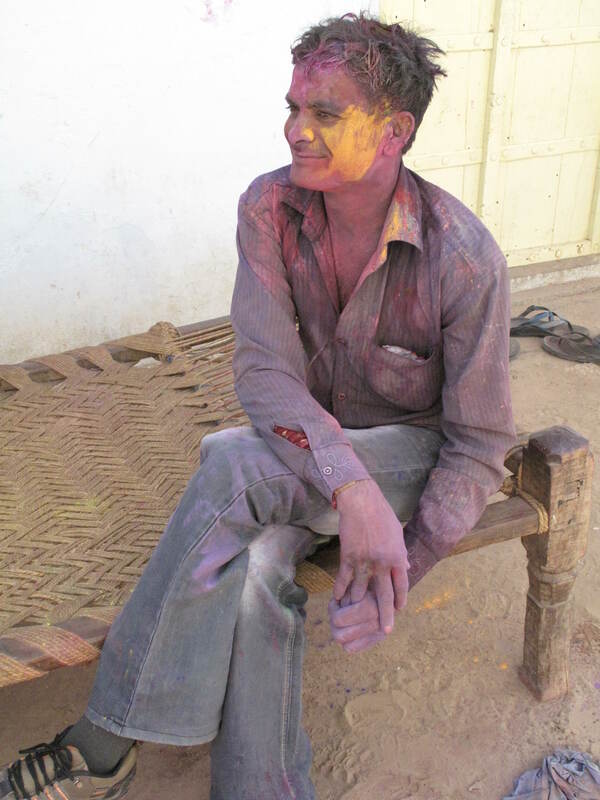 His mother responded by painting his wife’s face with color. 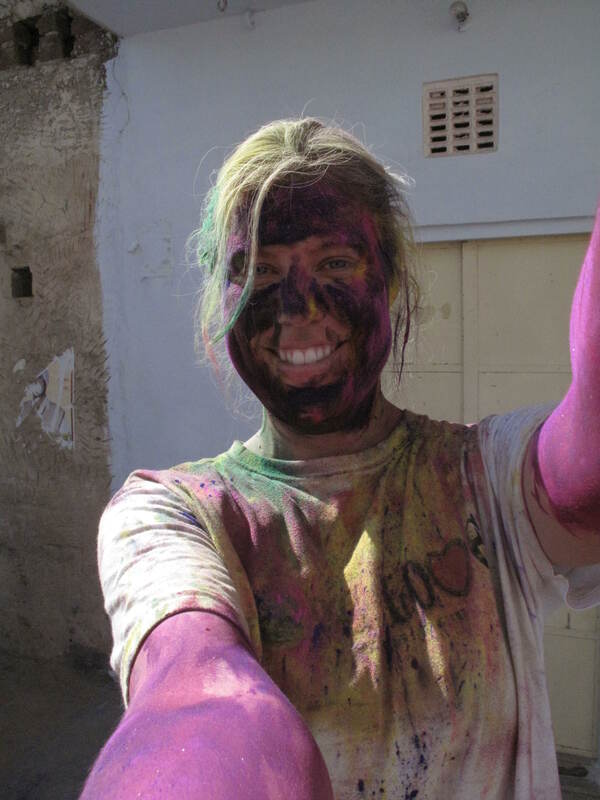 Another story I found said that the original paint came from natural plant sources know for their medicinal properties. 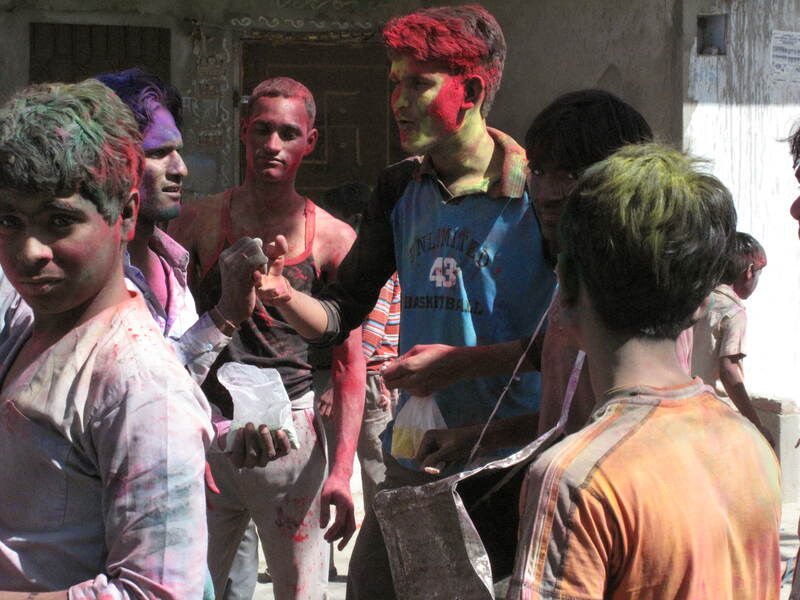 The colors were smeared on people’s faces to ward off the influenza outbreak that occurs every spring. 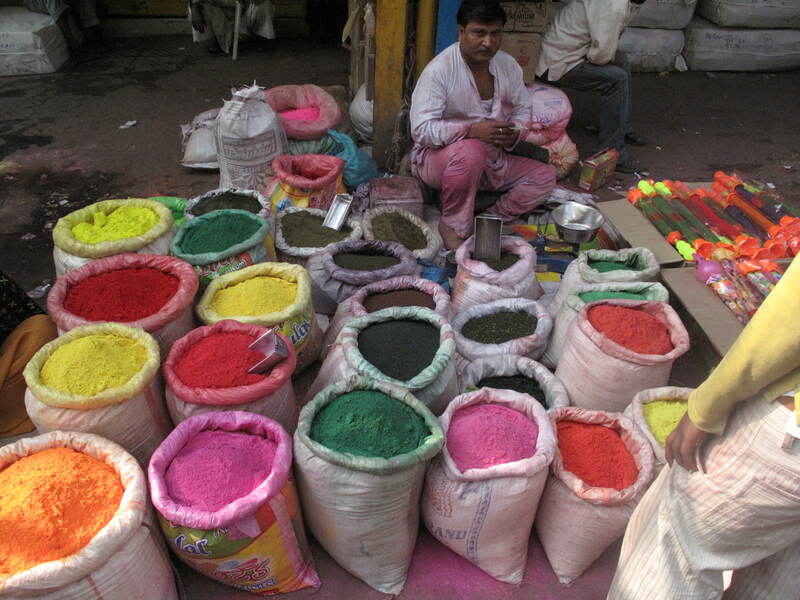 I can attest to the fact that the Holi colors are no longer medicinal or organic in nature. 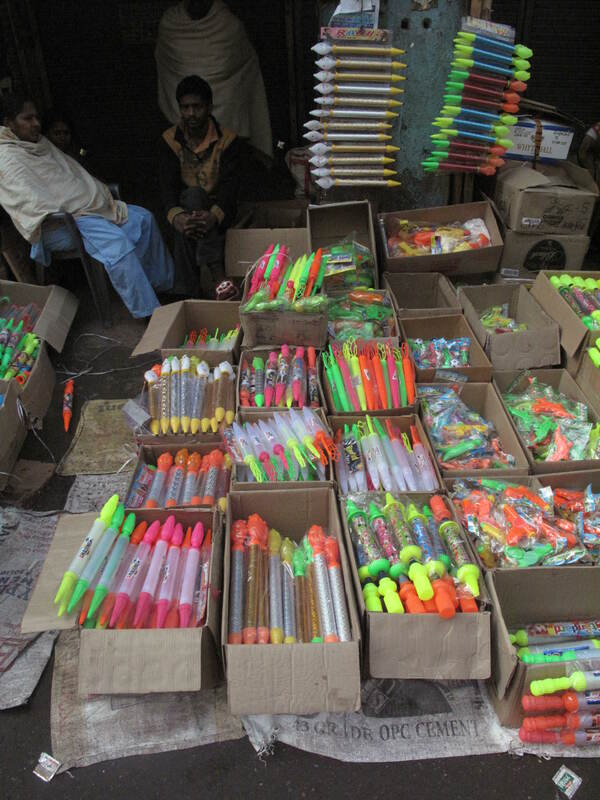 While they are beautiful, the colors are full of chemicals. 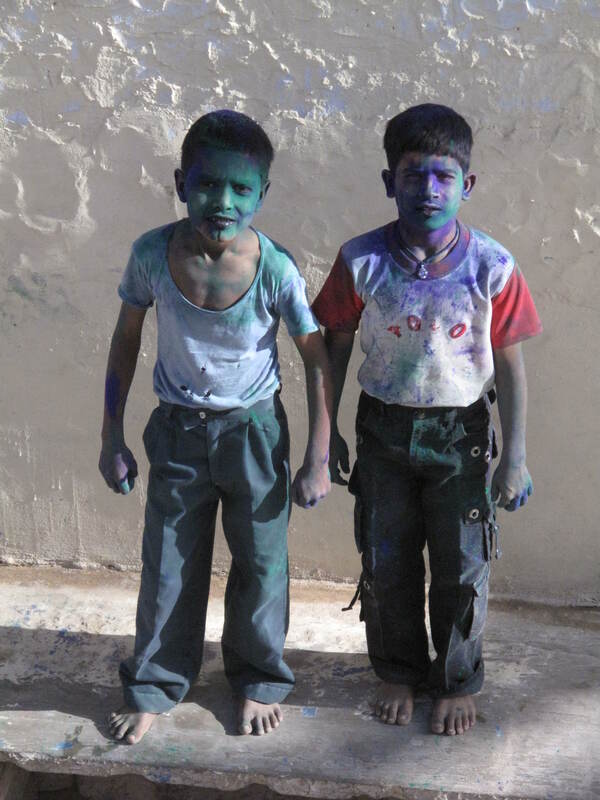 This year’s Holi Festival was on March 1st. 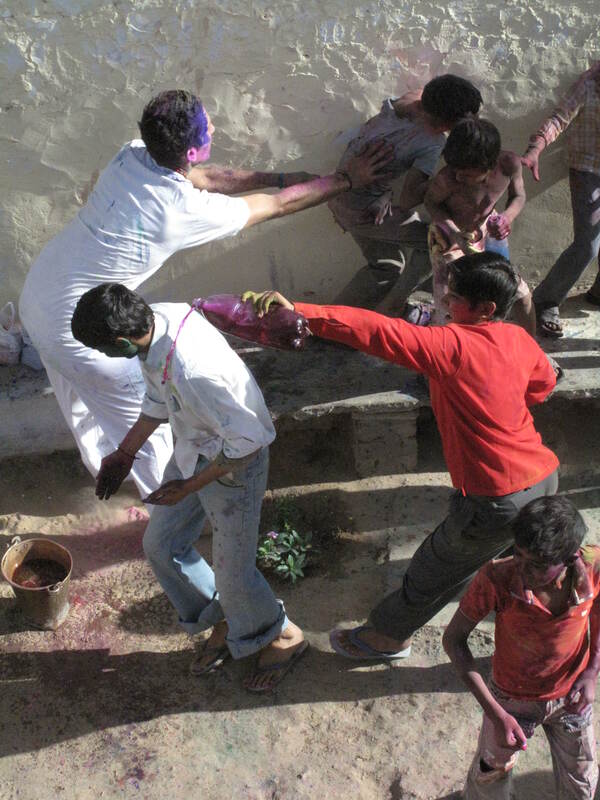 I have heard that the Holi festivities in big cities can be rowdy, especially when alcohol is involved. 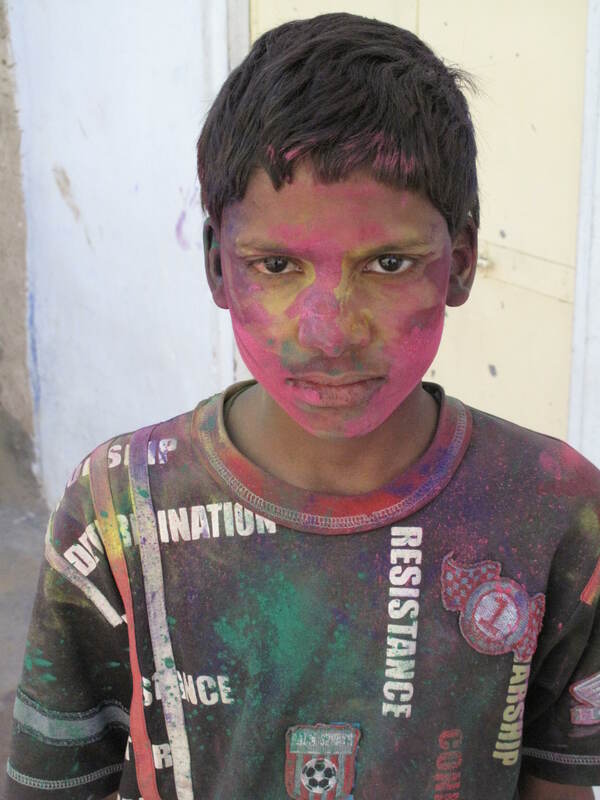 I was lucky to celebrate Holi in the teetotaling village of Siwar with a family who are close friends with Steve. 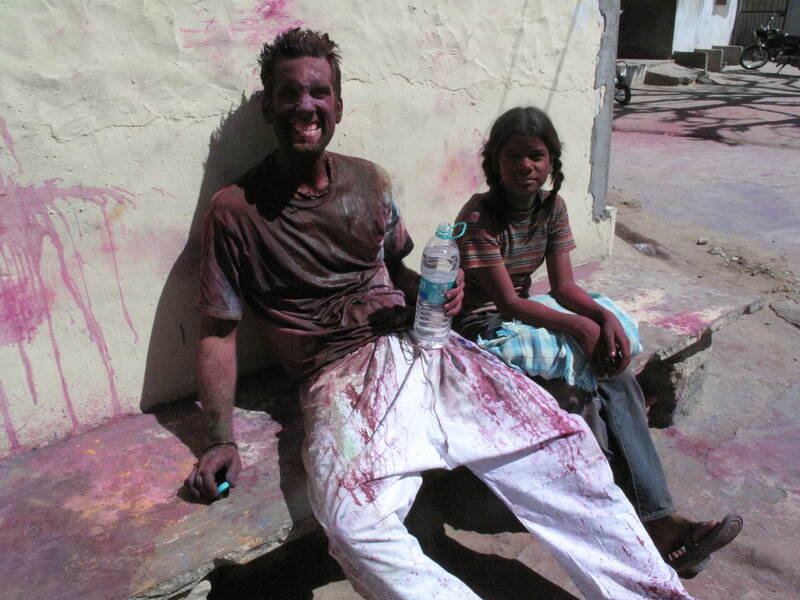 New friends, Rachel from New York, and Najat, from France, helped everyone cover me with paint. 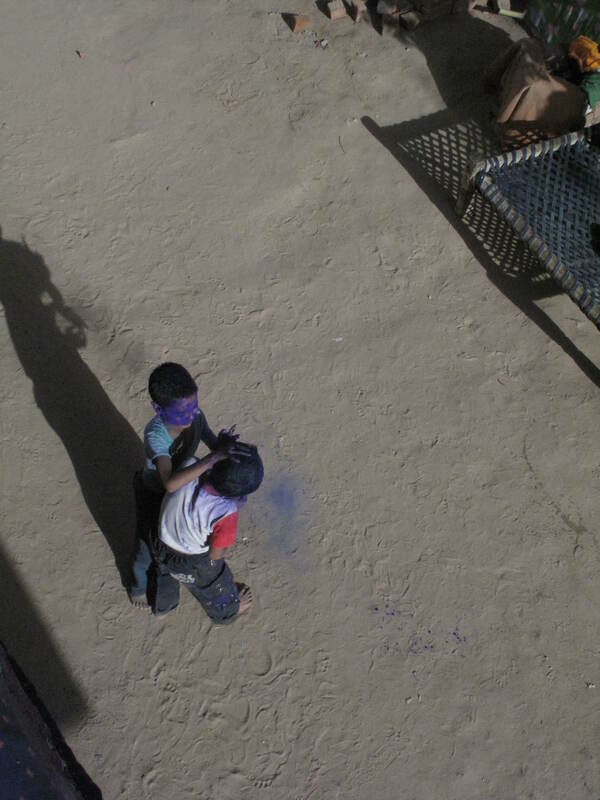 The throwing of colors started not long after breakfast. 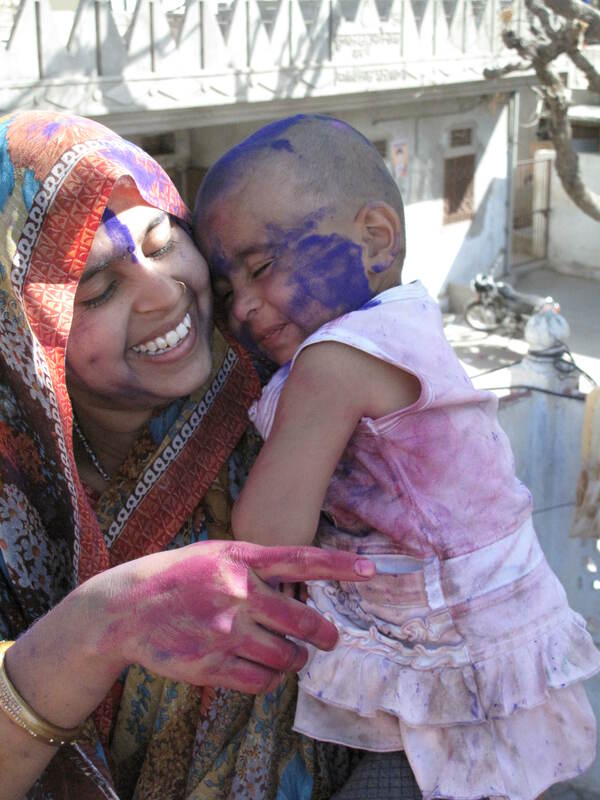 The women, decked out in their Rajasthani saris performed a ritual to welcome the Spring. 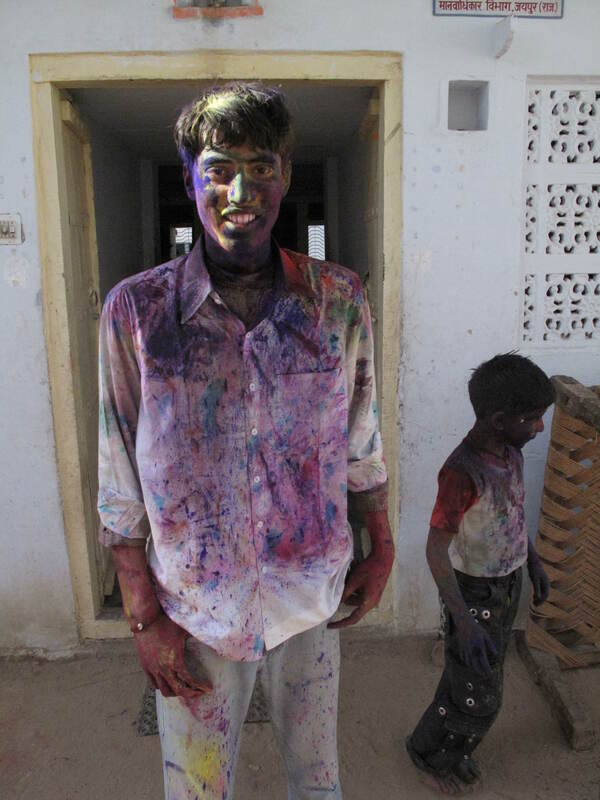 After the women changed their clothes, they really enjoyed making a mess of themselves and everyone else. 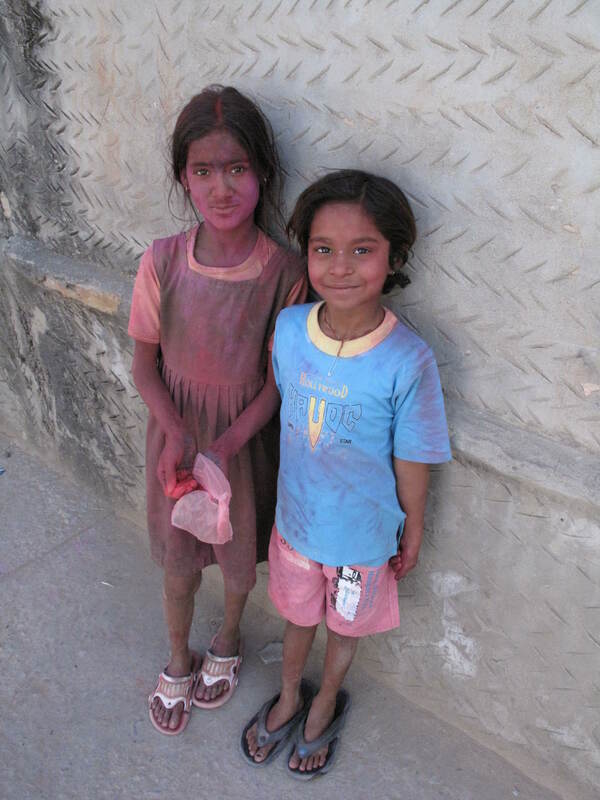 The children were the biggest hams in front of the camera after they overcame their initial shyness (or for one boy, terror) at playing Holi with a giant “gori” (white girl). 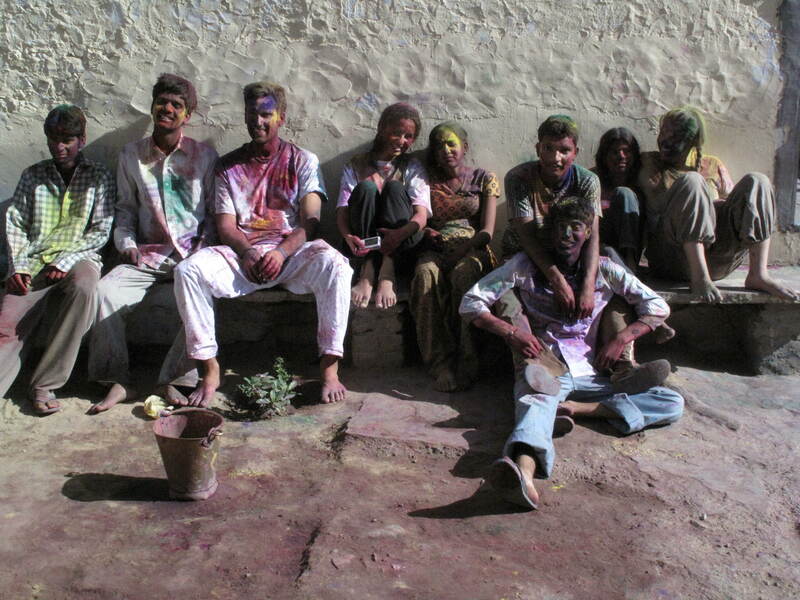 After playing Holi for five hours we were all loaded with paint. The men and women went to separate public wells to wash up. 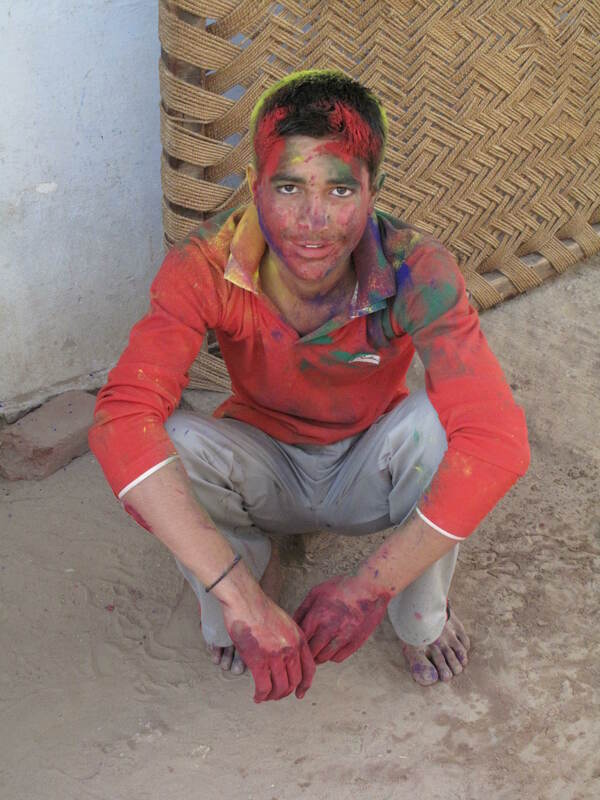 I followed the women to the farm house, which was in the middle of a beautiful wheat field. 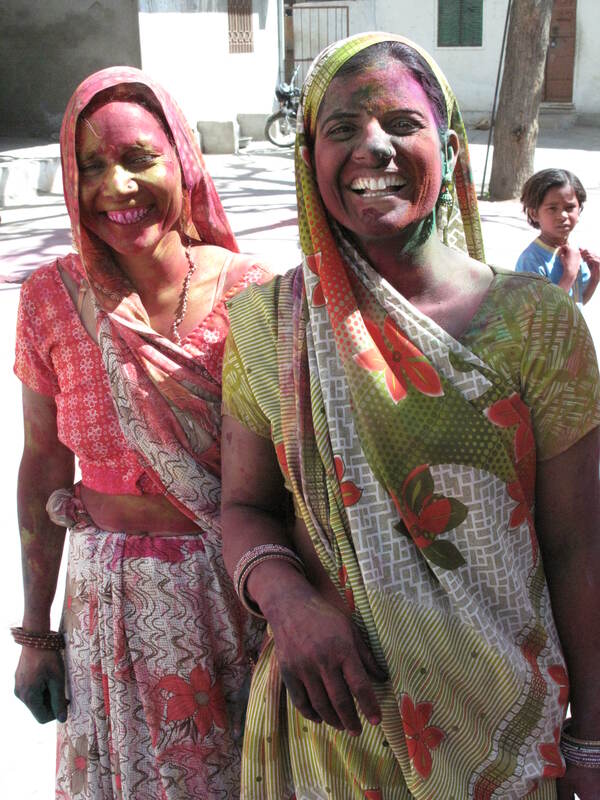 The women all helped scrub each other down sitting under the taps that surrounded the well. This is where the women come to take baths, wash their clothes, and catch up on village gossip. All of us girls were happy to be out in the sunshine getting a good scrub down and briefly participating in these women’s lives. It wasn’t an occasion for pictures, but this was my favorite part of the day. 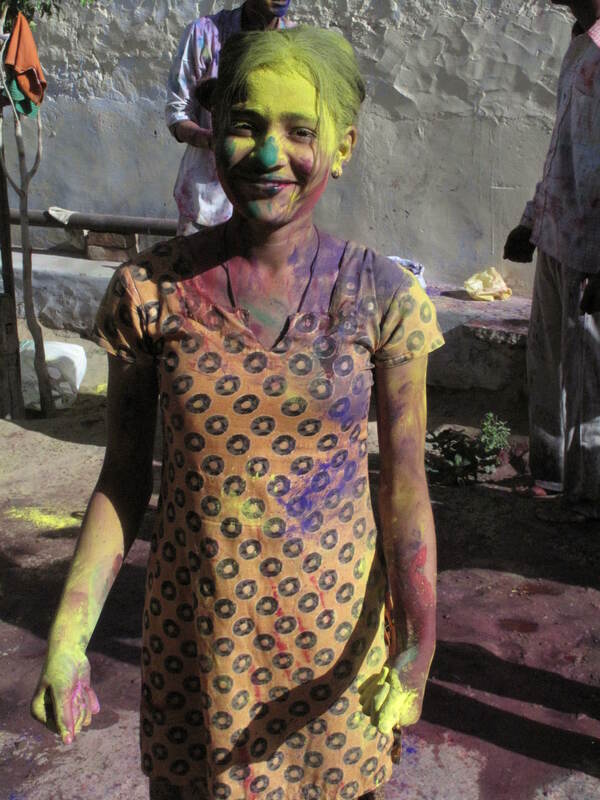 This entry was posted in India and tagged Festivals, Playing Holi, Travel. Bookmark the permalink.